Home / Politics / Here is the record which WILLIAM RUTO will set if he becomes the Commander in Chief of Armed Forces in 2022 - This is bad! Here is the record which WILLIAM RUTO will set if he becomes the Commander in Chief of Armed Forces in 2022 - This is bad! 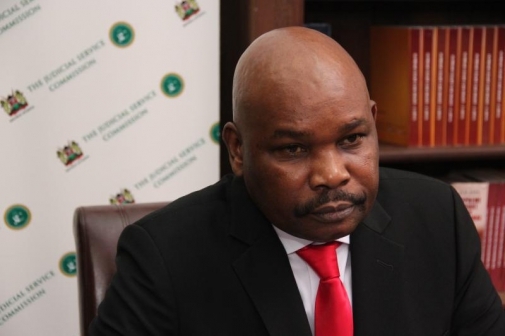 Friday February 8, 2019 - Distinguished law scholar, Prof Makau Mutua, has highlighted what may befall Kenya if Deputy President William Ruto successfully succeeds President Uhuru Kenyatta after the 2022 general elections. Ruto, who is the second in command, is planning to succeed the Son of Jomo in 2022. But Prof Makau, who is a Kenyan scholar based in the United States, says if the DP becomes President in 2022, then Kenya would go on record as having been ruled by men from the country's two tribes for 60 years. If he becomes commander in chief, according to his (Ruto) plan, then Kenya would have been led by presidents from only the Kikuyu and Kalenjin communities since independence. "If William Ruto succeeds Uhuru Kenyatta in 2022, then for 60 years Kenya will have been ruled by men from only two ethnic groups," Mutua said in a tweet. "This is not how you build a post-colonial nation. Look to South Africa for useful lessons on managing ethnicity and power in a fractured plural society," he added. Kenya's founding father was Mzee Jomo Kenyatta who was a Kikuyu. He was succeeded by Daniel Arap Moi who hails from the Kalenjin community. The country's third President was Mwai Kibaki and he handed over power in 2013 to Uhuru Kenyatta. Both are members of the Kikuyu community.